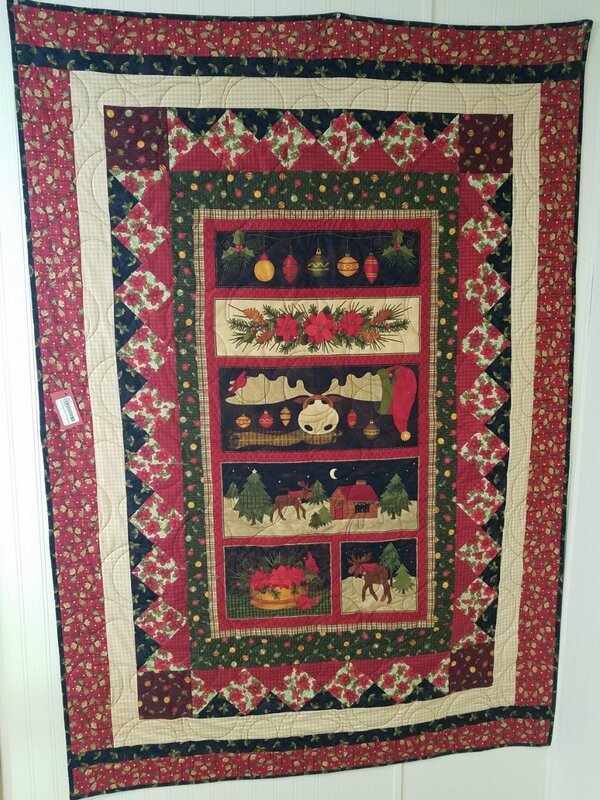 What a great way to celebrate the season - Cheryl’s moose panel, surrounded by poinsettia, tiny ornaments and Christmas moose heads! Easy to make and sew easy to enjoy. A Moose For Christmas collection By Cheryl Haynes Finished Size: 48” x 69”.